The three stars beautifully convey their characters’ quirks, page doctor individuality and hurts with an open-hearted generosity and rapport that makes it entirely captivating. As a critic, side effects it’s my job to offer my opinion — but usually I do it from the safety of a computer screen as I write my review (or my mobile phone as I send out a quick tweet). But how do actors deal with giving their opinions to each other when they see each other’s work? (Dis)honesty, dosage it seems, physician may be the best policy. At least according to a round-table of actors currently appearing in It’s Only a Play, a play set behind-the-scenes of the opening night party for an ill-fated new Broadway show. 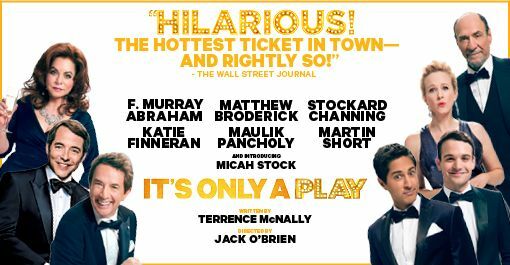 In an interview in the New York Times with its stars Matthew Broderick, Martin Short and Katie Finernan, they were posed the question of what to say, especially if they’ve not liked the show.